This week, we’ve brought you Nayani Thiyagarajah! Nayani Thiyagarajah is a daughter of the Tamil diaspora. She first gives thanks to the ancestors and elders who’ve come before her, building the foundations on which she continues to do work for and with others. She is a writer, performance artist, and filmmaker. Nayani has worked extensively with multiple arts-based organizations and creative arts groups, including Manifesto Community Projects, Newcomer Women’s Services of Toronto, ArtReach Toronto, b current Performing Arts, and Schools Without Borders. 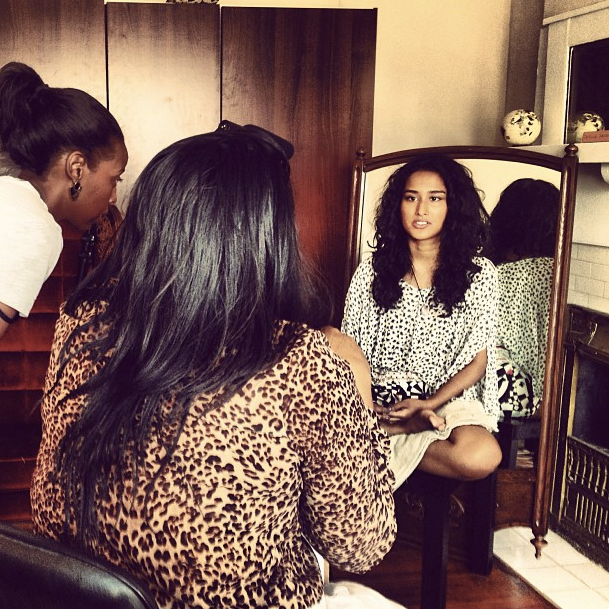 She recently finished her first feature documentary Shadeism: Digging Deeper (due for release in 2015), a follow-up to her original short, Shadeism (2010). She is also co-producing a series of three short films called The Things We Don’t Say and writing her first feature film through Refuge Productions, which she co-created and where she currently serves as an executive producer. Having completed her Bachelor of Journalism at Ryerson University (Toronto, Canada), she is now finishing up her M.A. in Interdisciplinary Studies at York University (diaspora/performance/women’s studies). 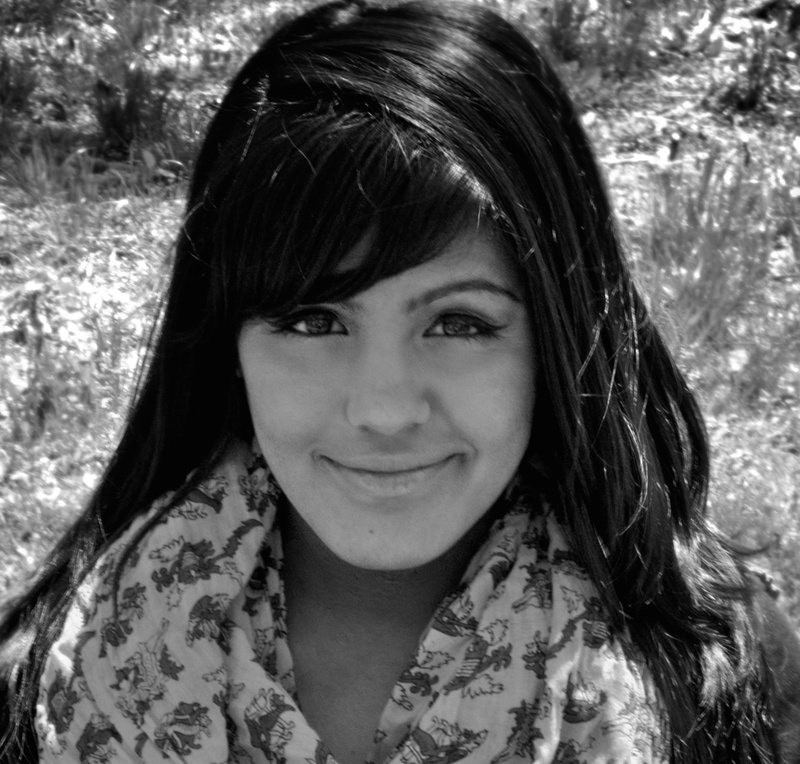 Nayani also works as both a provisional full-circle doula and hatha yoga teacher. She believes in love. 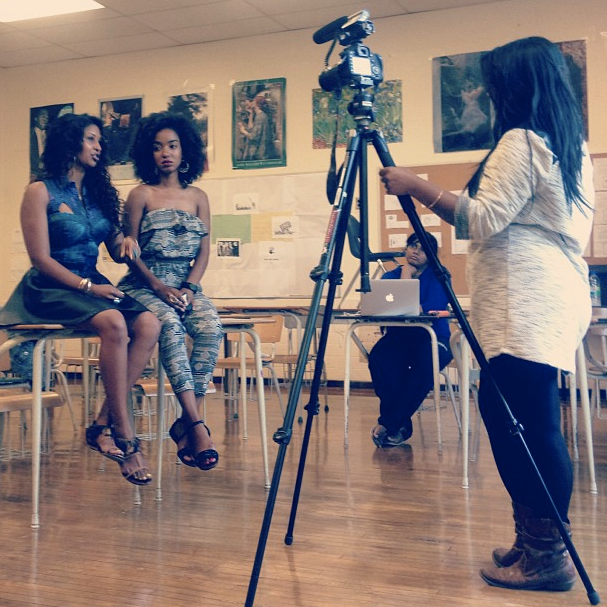 CTYA Blogs: Congratulations on all the success with your award winning documentary Shadeism! It opened up a forum for discussion on discrimination between lighter and darker skinned members of the same community. Tell us about this project. Thank you! The initial idea began in 2009 when I was at Ryerson University doing my Journalism undergrad and had a final project for my degree. In that same year, I had a conversation with my niece about how she did not feel that she was beautiful or pretty because she was of darker skin. Later that year, I had also traveled to Bombay, India. Bombay is the capital of Bollywood where preference for lighter skin is everywhere from screens to ads, suggesting that it is ideal. Between those experiences, I decided with my team on a short film regarding shadeism, which is also known as colourism, a word by Alice Walker. It basically describes the preference for lighter skin as discrimination based on skin tones in communities of colour. I got together with a few of my friends having a conversation and also my niece, which was all filmed and they all also helped me put everything together. As everyone usually uploads videos on Facebook, I did the same not expecting the turnout, it spread like wild fire through Facebook, Tumblr, Twitter, and other social media platforms. That’s where we got support to do a future film for the past 5 years, which we just finished this January. CTYA Blogs: What are some current initiatives your team is involved with in following up to the Shadeism (2010) documentary success? Our biggest project is the future film that we have been working on during the past 5 years. 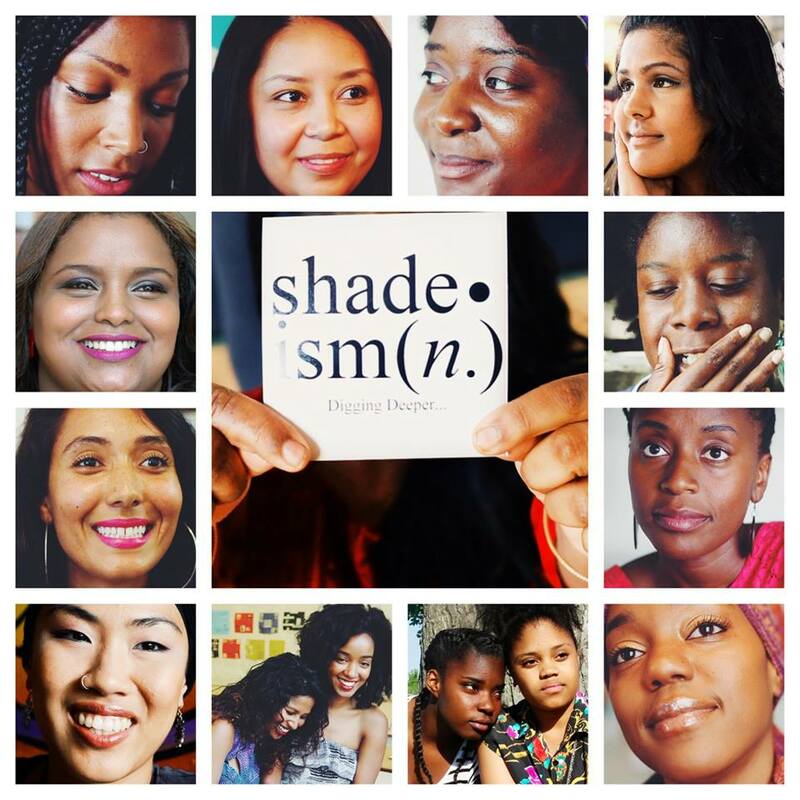 It’s a more in-depth exploration of shadeism and how it impacts different women of colour. Also, we have been sharing the original short documentary in public places like classrooms, conferences, universities, and colleges. This enables discussions about shadeism. CTYA Blogs: Were you always interested in journalism as a child? What was your inspiration? I was always a writer. Story telling was really important to me. I was just an average reader growing up, as far as I can remember I always loved reading. The advantages I had was that my uncle used to work at a book factory and would also have cardboard boxes filled with books. I would always love to go to his house and just pick out books to read, I would be in the library just reading books, and even at family parties I’ll be doing the same. As I grew up, I began to realize that I was not reading books that related to me, in a cultural, physically way, maybe with their stories and what they had to share, yes. At the end of the day I would have never thought characters would look like me. I then started to become interested in more writing and that is when I went to school for Journalism. I decided Journalism because I thought the use of media documentaries is the state to tell the truth and explore issues. My love of reading, writing, story telling and creating a better representation, especially of people with colour was really important to me and that is what led me to documentary film making in general. CTYA Blogs: What are things you don’t like about current journalism practices that you wish to change? I think that the 24-hour news, like CNN, where stories are coming out all the time, and the Internet where everything is being shared immediately, content is coming through to the audiences very quickly which is important. At the same time, when you see mainstream media, it lacks in telling the whole picture. Being in short form, this does not leave room for exploration or discussing complexities in stories. So I became enchanted with that kind of 24-hour news and really wanted to have a space in which I can tell stories in a more in-depth complex way. I found film-making gave me this space in a longer formatted story telling. CTYA Blogs: There are businesses who are capitalizing on the need by some in society for lighter skin tones through skin lightening creams, apps to lighten your skin in pictures, etc. What are your thoughts on this? I believe that the media and beauty industry perpetuates this issue of shadeism. They are capitalizing off of people’s pain and trauma. They are trying to make money from people’s insecurities which I think is sadist. It ensures that this issue continues to be a problem for people, by telling them that you need “x, y and z” products to be considered beautiful. At the same time, I understand why people use the products. For generations you’re told that you’re not enough or that you have to change some things to look more “normal” and “acceptable”. This is a problem where companies capitalize through people’s pain by telling us in many different ways that we’re not good enough. I think it’s a harmful and hurtful thing that companies are doing to people. 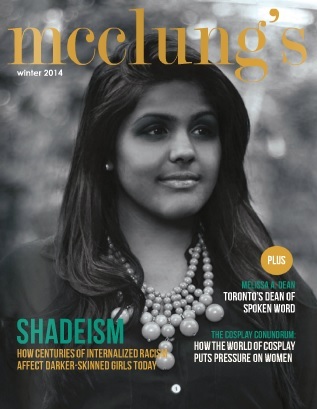 Nayani on the cover of Mcclung’s magazine on the Winter 2014 issue. CTYA Blogs: What do you want to say to the Tamil youth who continue to struggle with accepting their skin tones? Shadeism is a centuries old issue so it’s not going to go away overnight. If you’re struggling with it – you’re not alone. There are billions of people struggling with the same issue and going through the challenges of it. It is an on going journey for just about everyone. We must affirm ourselves of who we are, how we come naturally, and the skin that we’re in. I find that the more we start to affirm, value and respect ourselves in the moment, it’s not going to be a grand big haul change but its rather a moment by moment change. Being kinder, tender, and more gentle to ourselves will put us on the right path. who ever they are, we’re all part of a greater whole. We’re always transforming, growing and redefining in our own ways in what it means to be Tamil. It isn’t one kind of Tamil, we’re constantly renewing and re-imagining in different ways we can be Tamil and can look. Tamils are whatever we are individually and collectively as a whole. Trust your vision. Believe that if something came to you, it came to you for a reason. Trust your work. Believe that if you are doing the work, things will work out as they are meant to. Trust the struggles. Remember there are learning curves everywhere along the road, and that the struggles are also part of the story. Trust the process. Make peace with the fact that the process rarely goes as planned, but it always leads you to exactly where you need to go. Trust yourself. Be kind, be tender, and be patient with yourself. You are everything you need – believe that with all your being. Thank you for joining us today Nayani! You can find more updates on her project here. This entry was posted on Thursday, April 30th, 2015 at 1:20 pm	and is filed under Cafe, News, Thulirkal. You can follow any responses to this entry through the RSS 2.0 feed. You can leave a response, or trackback from your own site.